Today we are presenting a new system of floors and walls, made in resin, and prepainted. This system allows the creation of corridors and rooms of various shapes and dimensions.The walls do not need any support to keep upright and be combined to form corridors and rooms, big and small. The use of (male) pins on the whole side of the walls allow them to be safely positioned and interlocked with other pieces for great results. All pieces are already prepainted and ready to be placed on the gaming table. Floors and walls alike are printed on both sides. The Floors have a side with a classical stone flooring, and another with a sewer canals. They have also 2 smaller floor pieces which allow to create various kind of sewer shapes. All is prepainted and ready to play. In the next article we will discuss a bit more about the purchasable articles and kits and their prices. 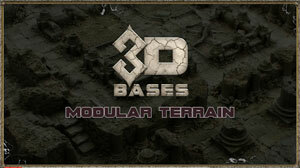 It’s time to present our new and final design for our Forgotten Halls Modular Floors. The version you are familiar with is the following. You probably thought “it’s cool, but it doesn’t look finished”. We can now unveil the last design of our floors. It changes fully aspect and becomes even more dynamic. Now the design is similar to sewer channels, whereas before it was completely empty. The dynamical inserts become much more important, and by swapping their positions on the floor, a thousand different combinations open up! The images show in detail most of the possibilities. Indeed, with our “Forgotten Halls” system, you will be able to get from the beginning 3 new effects of floor design! 3 – … we can’t reveal this one yet! But we assure you that you will be amazed by it! 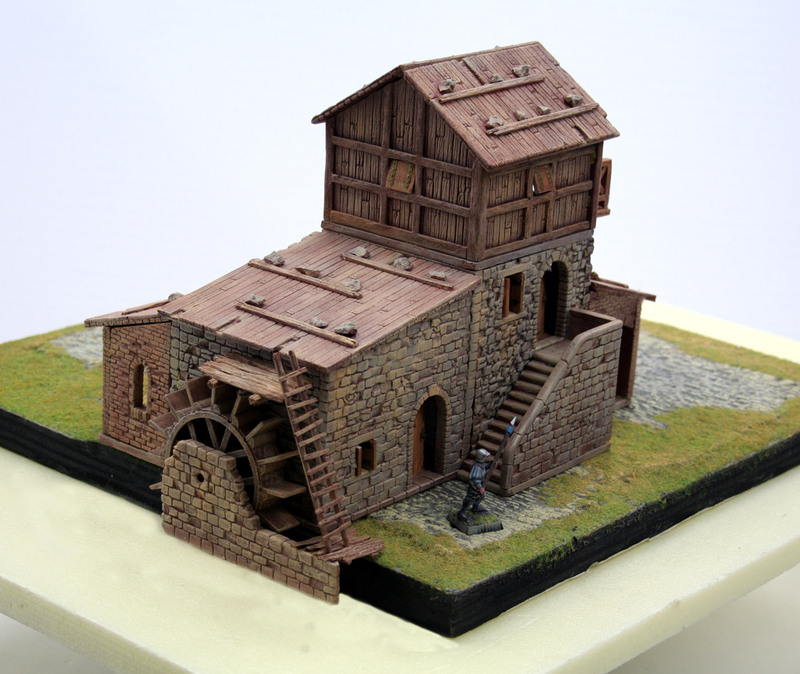 We are now continuing to present the new miniatures of Zealot’s Miniatures Kickstarter on our terrain kits. After showing them on our 3D Bases, we are now presenting them on our Forgotten Halls walls. We are also using this occasion to show you our definitive version of our dynamic floors. But we will speak about them in our next article. Those Zealot Miniatures, like we said in our first article, remember us of the old-school design of the 80’s, but with quite a modern touch. The following 10 miniatures (pictures taken from the Kickstarter page) indeed remind us a bit about the HeroQuest heroes. So a dungeon is a perfect set-up to make them shine in their whole splendor. Of course, an image is worth more than a thousand words, so give you more images to look at and share to you the link where you will be able to follow the last days of the Zealot Miniatures Kickstarter. Cheers from Lorenzo & David. Update 18 – Forgotten Halls – New accessories shown at Essen! Back from Essen, where David presented in a first sneak peak some of the accessories which will be added as Stretch Goals in our next Forgotten Hall KS campaign. 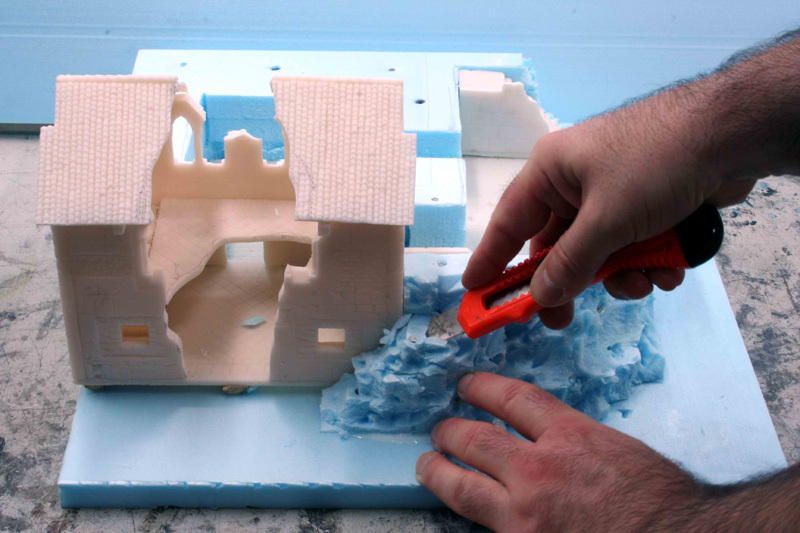 What you will see will allow you to increase tenfold the possibilities and potentialities of your dungeons, buildings, castles, and towers created with our product!!! We are talking about Stone Stairs. In a way we did, but the one we’re unveiling now is much more narrow, allowing you to use them even in corridors without blocking the way! Of course, those new stairs will still allow 25mm wide base miniatures to be put on the steps, without any issue! This is a simple idea, but with enormous potential. With a bigger stair, you can go up and down, but if put inside a corridor, you have no choice but to use the stairs. Here with the more narrow stairs, you can decide if to use the stairs, or proceed forward. Imagine your soldiers invading a castle and fighting on a corridor, some of them trying to fend off the enemy soldiers coming down from above (from the stairs) while the rest just continue on the side, towards the door at the end of the corridor, where the throne room and the opposing ruler with his king guards awaits. There are countless uses for this new piece, and we’re sure you’ll find a lot on your own! More narrow and sleek pieces make up also for an even more beautiful scene. Of course, to complete the piece, you will need also some new floors and new balustrades. Just combine big and small stairs, for amazing results! Here the big stairs are used to create huge pathways while the smaller ones are used to move inside the corridors! Forgotten Halls and NoLands Comics at Essen! 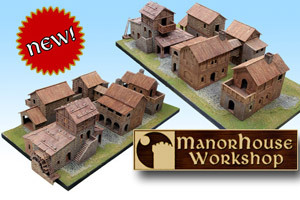 We kept this a bit under wrap for weeks, but Manorhouse Workshop will be at the Essen Fair (26 October to 29 October)! We will be presenting our Forgotten Halls project, so that you can see first hand our prototype and also some new exciting pieces that will be unveiled only at Essen! and perfectly all our pieces. The NoLands Comics / Manorhouse Workshop booth will be 6J118 in Hall 6. NoLands Comics is a company present at all major fairs, with their own lines of amazing Fantasy Comics and Roleplaying material. For Essen, they’re also presenting their first brand new board game, called Total Party Kill! The creator is none other than my own collaborator (David Destefanis), and he will be there to represent both companies. Total Party Kill is a fast paced and merciless game, where 2 to 4 players build and level up their parties of Heroes, recruit Mercenaries, use Spells and Artifacts to fight and gain the upper hand on the other players, to explore and conquer dangerous Territories infested with Monsters. Total Party Kill comes with 4 different faction decks, based on the NoLands comic world, and has a total of 200 cards (+ tokens). All cards can be used in various ways, from generating resources to be played normally on table. Real Game FX Kickstarter last 3 final days! Our friends at Real Game FX are doing well on their Fog Monster Kickstarter, and are cruising towards a 200% funding! Don’t let this opportunity escape your table! Having Fog swarming your gaming table and terrains makes for an incredible experience. With the Stretch Goals being unlocked, you can now have a complete Fog Work Pipe Pack system to deliver the fog anywhere on your table. Most recently, they also unlocked their splendid Light Box Add-ons! Light adds a whole new dimension to foggy atmospheres, and they can be put anywhere, and remote controlled easily, with even changes of colors by just pressing a button on your remote. Other Light Pods are available, which can be used for dramatic effects too, also in the Dark Crypt. This and much more on their Kickstarter page.